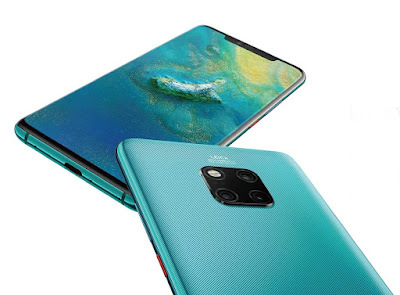 Huawei Mate 20 Pro smartphone launched in Nepal that comes with a 6.39-inch touchscreen display with a resolution of 1440 pixels by 3120 pixels. The phone is powered by octa-core (2x2.6GHz + 2x1.92GHz + 4x1.8GHz) processor, 6 GB of RAM and 128 GB of internal storage that can be expanded up to 256GB. It has 3 cameras, 40-megapixel (f/1.8) primary camera and a 20-megapixel (f/2.2) secondary camera on the rear and a 24-megapixel front shooter for selfies. The Huawei Mate 20 Pro comes with a big 4200mAh non removable battery. 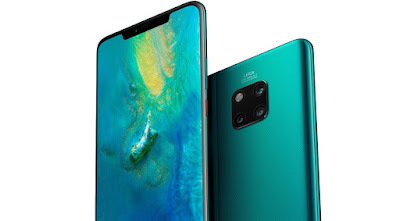 Dual Nano-SIM and sensors on the phone include 3D face recognition, Fingerprint sensor, Compass/ Magnetometer, Proximity sensor, Accelerometer, Ambient light sensor, Gyroscope and Barometer.